Need an easy slow cooked recipe that your family is sure to love? 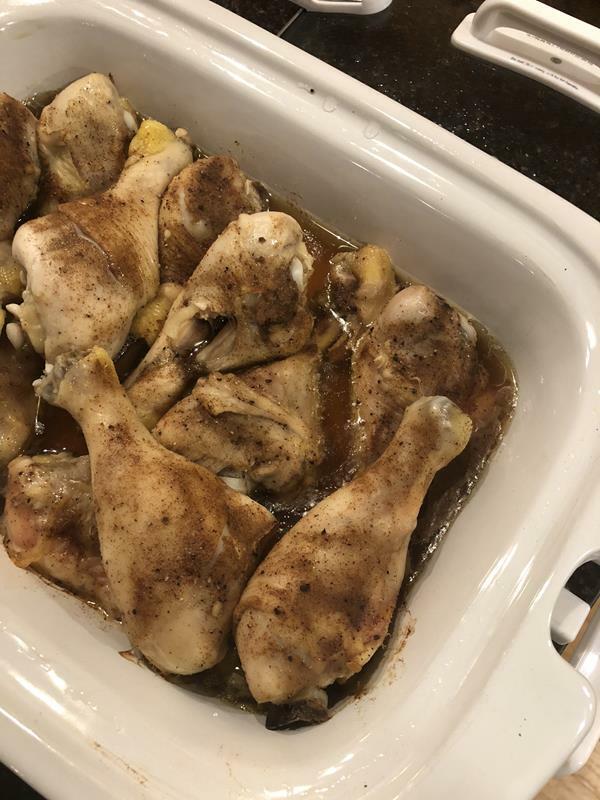 Try these easy Slow Cooked Southwest Chicken Legs. Slow cooker recipes are some of my favorite recipes because they help make life in the kitchen easier. In fact, my slow cookers are probably the most used small appliance in my kitchen. I use my slow cooker at least once a week. Some weeks I use the slow cooker several times. And please tell me that I am not the only one that owns more than one slow cooker? I currently own four of them. Yes, four of them. I might have a slow cooker problem. They are all different sizes and I use them all. Need More Budget Friendly Recipes? Meat is a huge part of the grocery budget, so buying meat on sale is one of the best ways to save money in the kitchen. When I find a great deal on meat I love to stock up on it and freeze it. It saves money and allows me to have meat in the freezer for easy meals. One of the least expensive cuts of meat is chicken legs. Or chicken drumsticks if you prefer that name. I can usually find them on sale at least once a month. Sometimes more often than that. I know not everyone loves dark meat, but my family loves chicken legs. Often times I think people don’t like dark meat like chicken legs and thighs because it isn’t cooked right. Cooking it in the slow cooker makes it tender and gives it a lot of flavor. 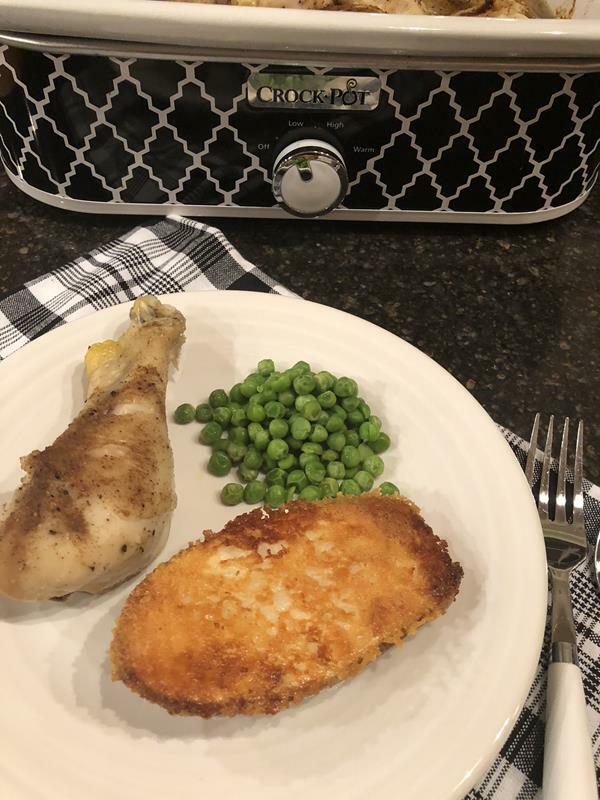 The slow cooker in my favorite way to cook chicken legs. I can put them in the slow cooker in the morning and dinner will be ready for me at dinner time. 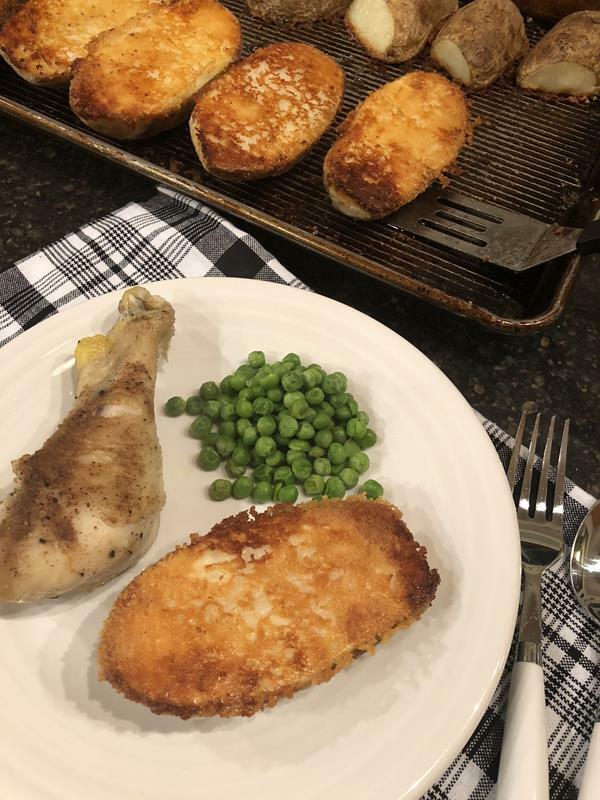 When it comes to cooking chicken legs I keep it simple. I have a basic slow cooked chicken recipe that I love. It only has a few ingredients and I make it all the time. For this recipe today I took the same basic idea for my slow cooked chicken legs and changed up the seasoning. This version has more of a southwest flavor to it, so I like to call it Southwest Chicken Legs. Slow Cooked Southwest Chicken Legs is an easy slow cooked dinner that your family will love. In a small bowl combine salt, pepper, garlic powder, cumin, chili powder, and onion powder. Sprinkle seasoning mixture over chicken legs and rub into meat. 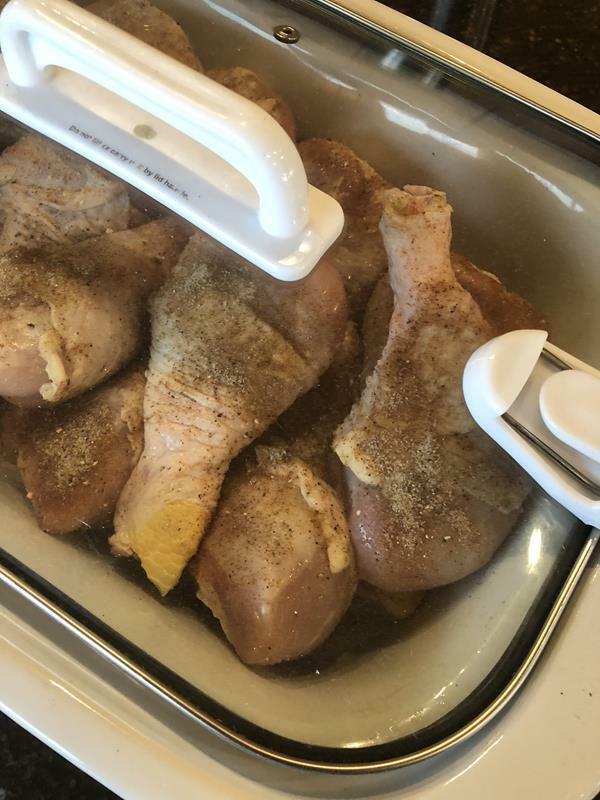 Place seasoned chicken into slow cooker. Cook on low for about 7 hours or until meat is tender and done. You are not alone. I actually own 7 slow cookers, YES, 7. I love my “crockpots’ as I call them…where I am from, they are called that and slow cookers just doesn’t roll off the tongue for me. Anyways, I have a 6qt with metal insert, a Ninja, (2) 8qt’s, and (2) 2qt’s. The 6qt has a home on my countertop since it is used almost daily. The Ninja is my “backup”. The two 8qt’s are for when I do huge bulk batches of things for the freezer. And the two 2qt’s are for parties like NYE or Super Bowl. I am glad to know I am not alone in my love of Crock Pots. 🙂 I know several people that love the Ninja, but I don’t have one yet. I might have to eventually get one….